Note that the old 3D printed front spacer will not fit this board. You will need an injection moulded front spacer. 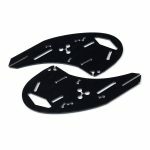 If you want a full tricopter frame, choose between the g10 and carbon fiber bottom boards to go with your F3FC tricopter board. 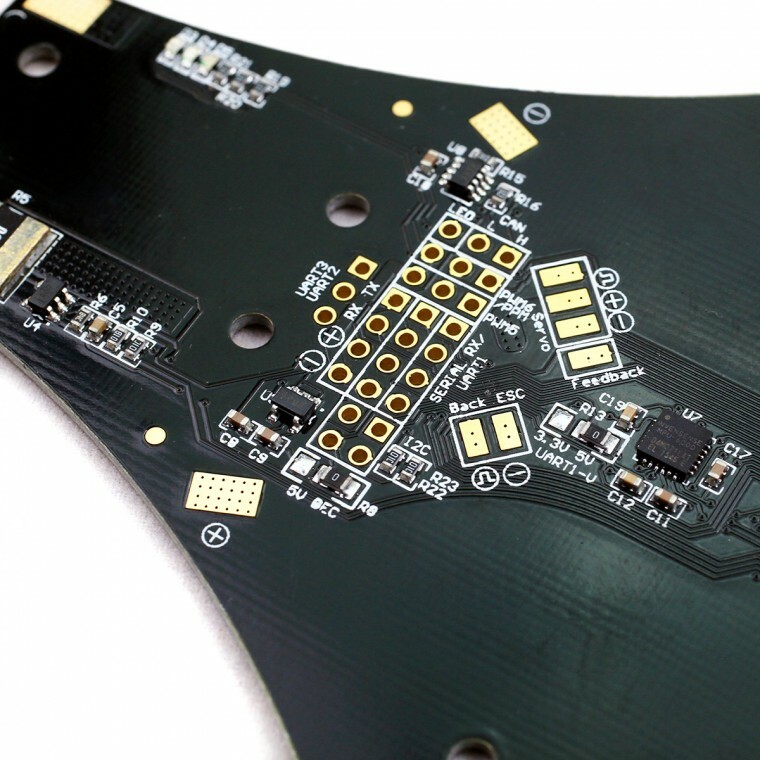 The CF plate is stiffer and weighs about 5g (25%) less, and it looks super fancy too. 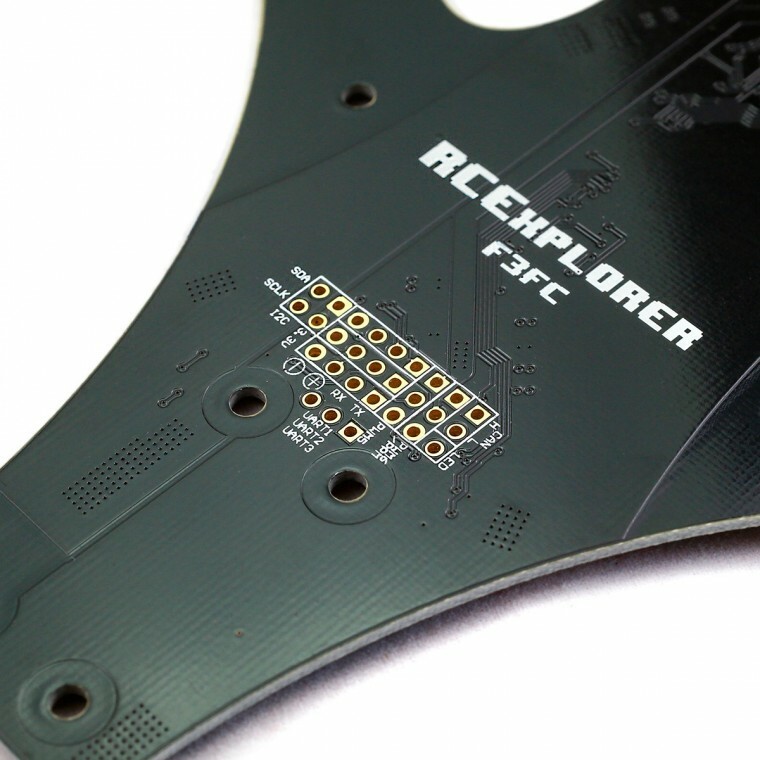 If you are just upgrading (or repairing) you tricopter, you can choose no bottom board, this way you only get the F3FC Tricoper (top) Board. This is our new RCExplorer F3FC Tricopter flight controller/PDB frame. Designed based on all the feedback we’ve received since the release of the Naze32 frame. This frame has it all. Equipped with a SMT32F303CC processor which has a dedicated float point math processor to reduce processor load, freeing up resources to run other fun stuff like GPS (Currently limited functionality in the software), RGB LED’s, compass, blackbox logging, SBUS, OSD and such. This processor also allows for 3 dedicated UART’s which vastly improves connectivity. It’s now possible to run GPS, LED’s, OSD, external compass(via I2C) and SBUS at the same time. The board also has a I2C port and CAN bus which allows for future expandability. It also has a direct connected LED pin for controlling those really cool addressable RGB LED’s. 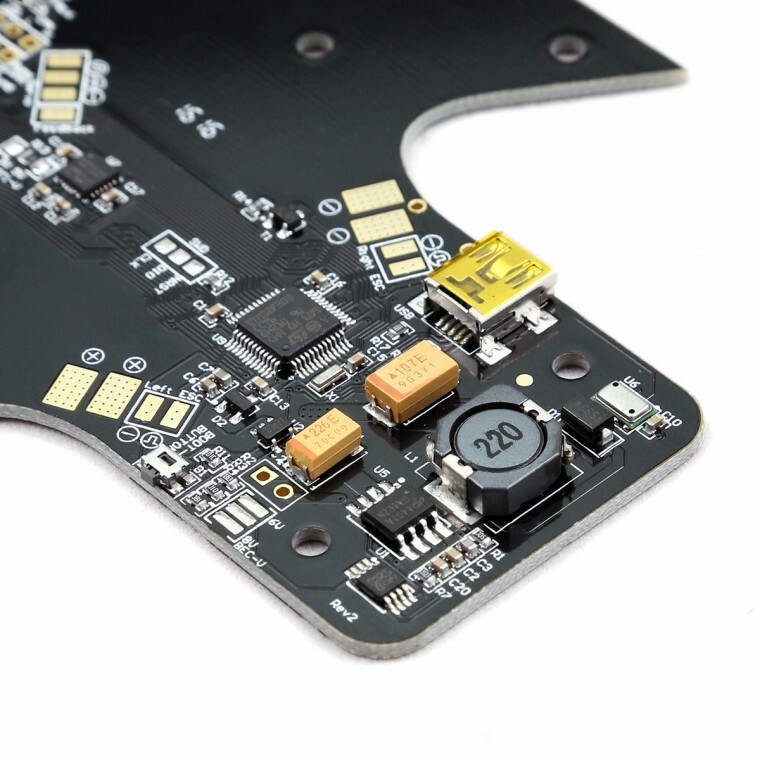 To save weight and make the build easier and more streamlined, the F3FC tricopter frame is also a power distribution board! Instead of having 2 separate boards and wires going everywhere you now just solder everything to one board and no extra wires between the boards are required. It makes assembling the copter easier, as you don’t have to juggle both boards and arms around at the same time while trying to get everything in place. That’s not all when it comes to power. The F3FC frame also has a built in 3A switching BEC! 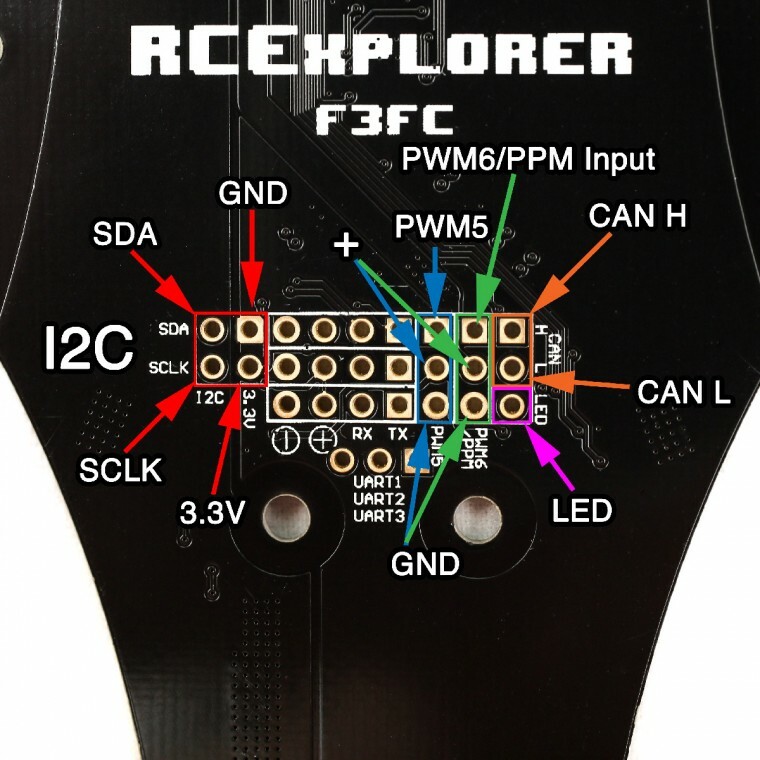 This BEC can easily drive the servo, flight controller, OSD, UART devices, RGB LED’s without even running warm. It’s super clean and it also has selectable output voltage of 5V, 6V and 8V, the latter mainly used to power high voltage servos. 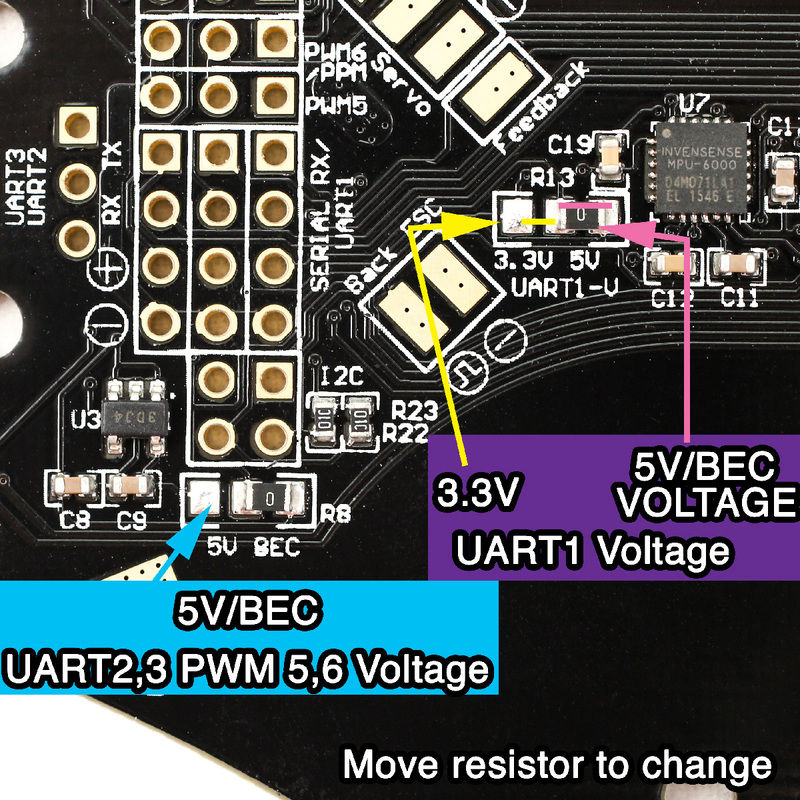 If you have the BEC set to 8V you can, by bridging two solder points power the UART ports via a built in linear 5V regulator, so that you don’t fry your sensitive 5V expecting devices. The components for the switching BEC are well protected in a crash as they are hidden within the front spacer. 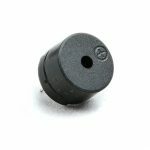 Also mounted inside of the front spacer is a MS5611 high sensitivity, high quality pressure sensor. Together with an external GPS the copter can now do position hold. Mounting the sensor inside of the front spacer keeps it out of direct airflow giving much more accurate readings. Another great feature is the built in current sensor for monitoring mAh used. To me this is huge. It allows for a much more accurate way of knowing how much juice is left in your battery. This information can easily be relaid through telemetry to your RC transmitter together with the real time current draw and battery voltage (which naturally also is built in to the board). 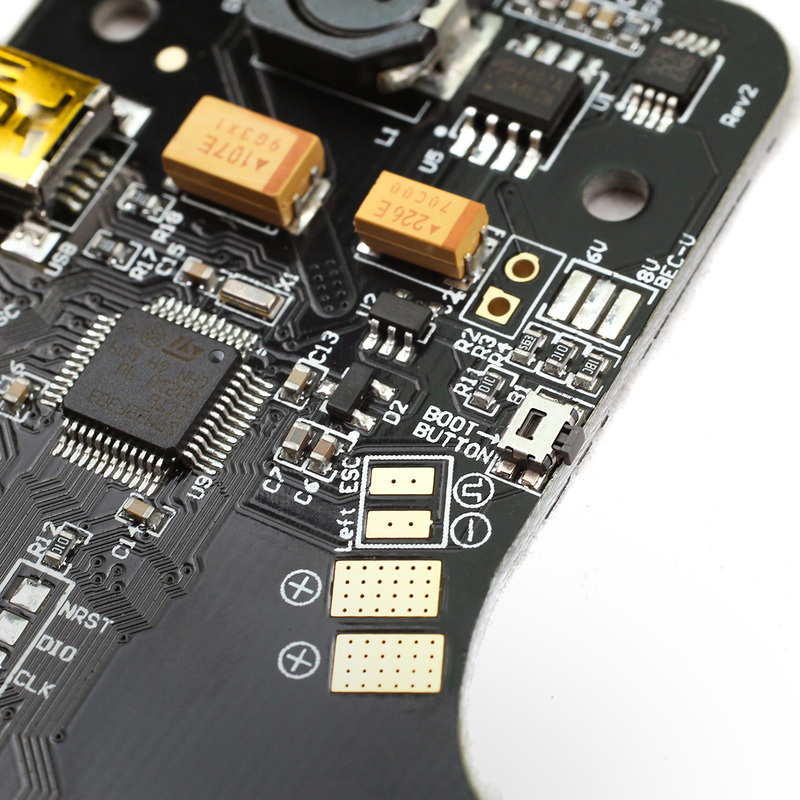 To give the best flight experience the MPU6000 Gyro/accelerometer chip is used. 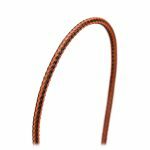 It’s the least vibration sensitive chip commonly available, which means crisper performance due to lower noise. 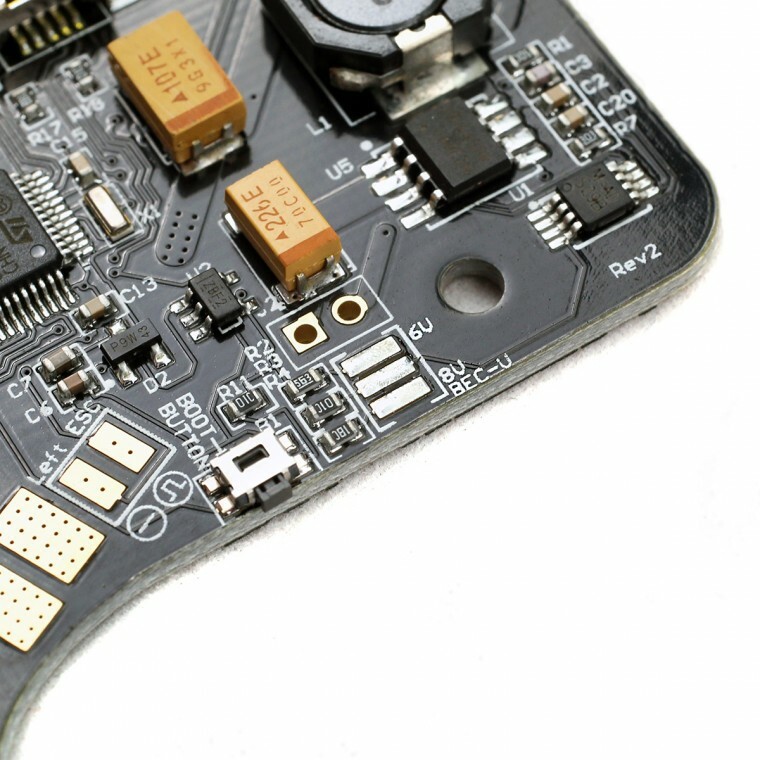 The MPU6000 is connected through SPI instead of I2C, which allows for much higher update rates. 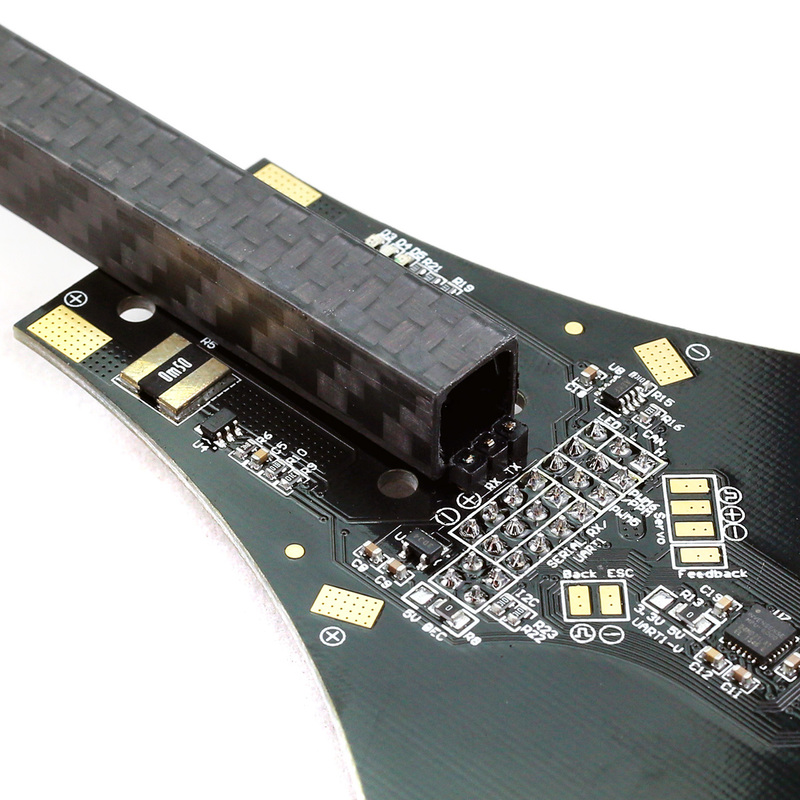 This together with the F3 chips capability of running lower loop times also improves the flight performance greatly. 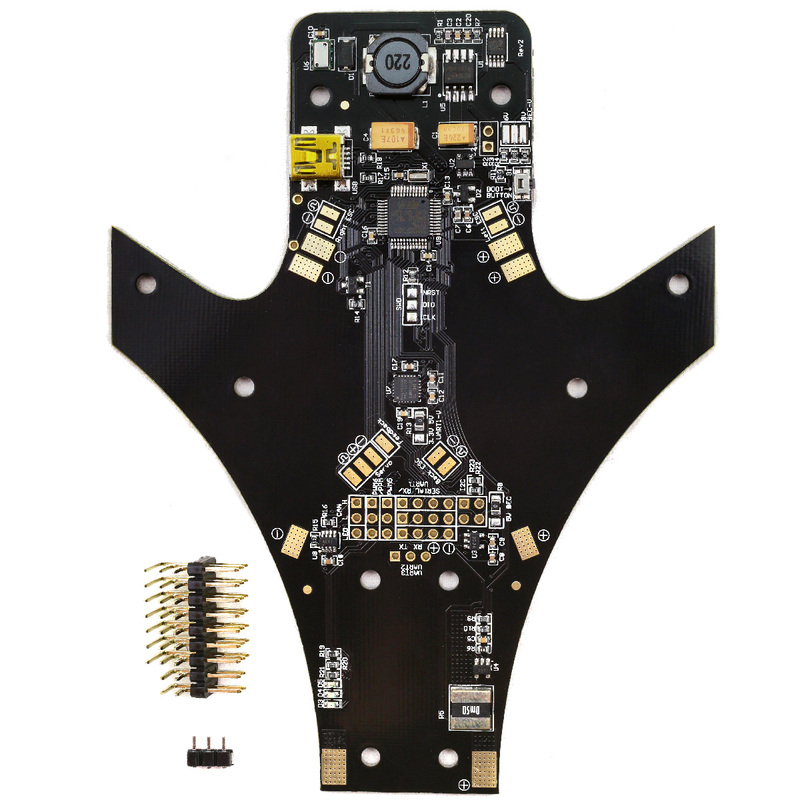 Another huge leap in flight performance is the feedback enabled BMS210 servo. The flight controller now knows where the servo is at all times, which allows it to much more accurately control the tail. 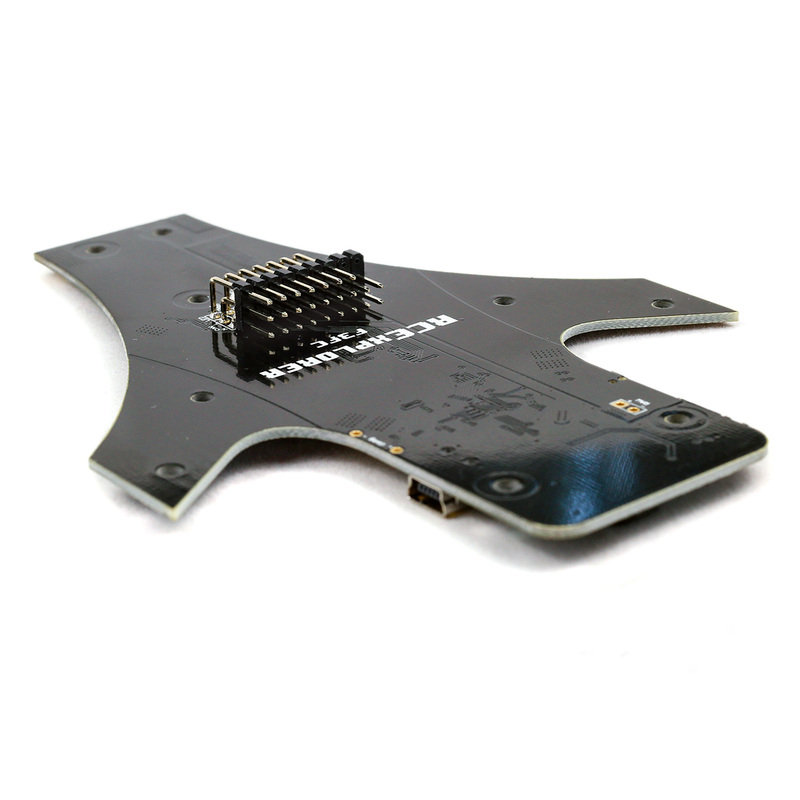 The F3FC frame has a dedicated feedback pad straight on the board for very easy hook up. 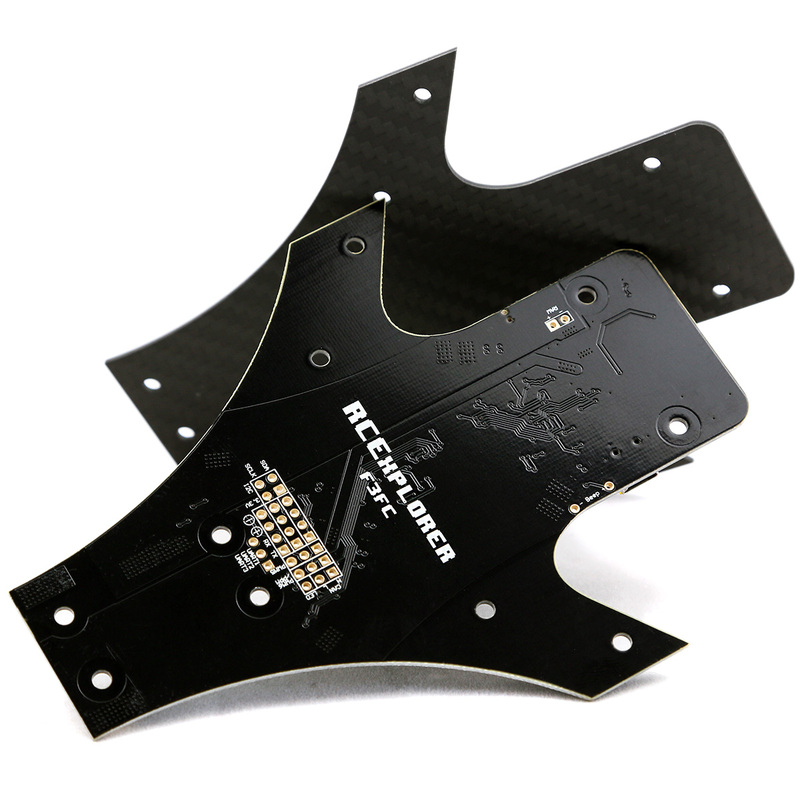 All ESC’s also have surface mount pads straight on the board, which makes for a very clean build and saves a ton of space on the top of the frame. To clean up the wiring even more there is now through holes that matches the pin spacing of the beeper. 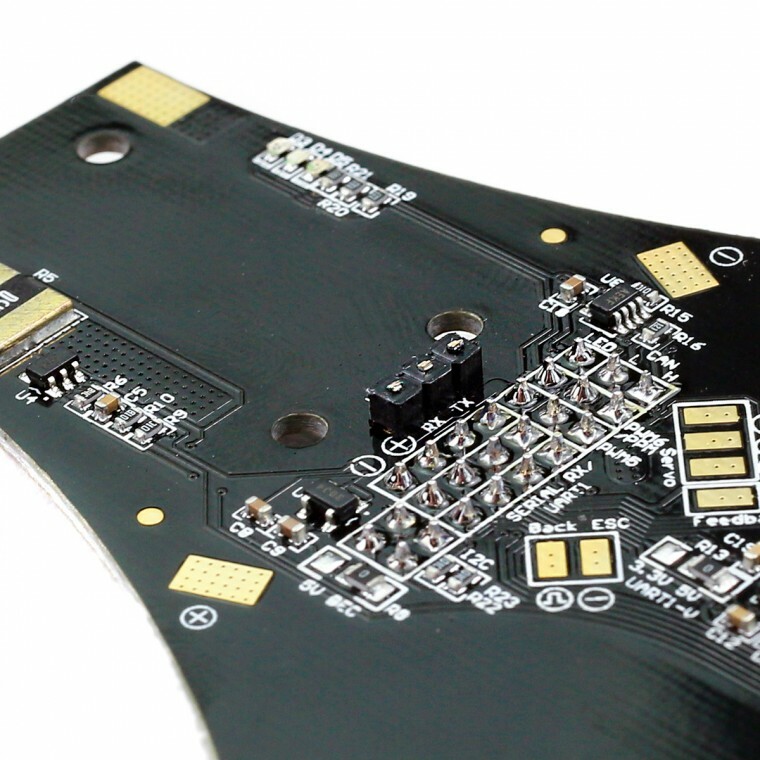 You can now solder the beeper straight to the board without any cables. 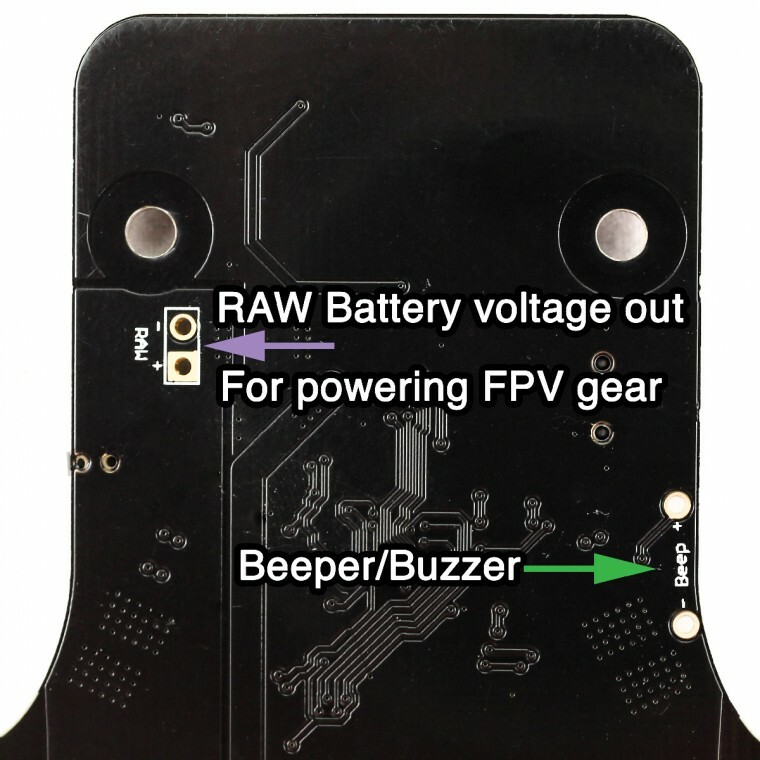 There is also RAW battery voltage pins to power FPV equipment and such on the top of the frame. No more having to run wires on the side of and then in-between the frames. Lastly the frame has 2 PWM channels, one of which can be used for PPM receivers. Serial receivers can be plugged into any of the UARTs, but UART1 has a selectable 3.3V/5V selector solder bridge for powering 3.3V spectrum satellites or “normal” receivers. 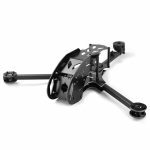 The F3FC frame is a drop in replacement for the Naze32 frame. You can use it with both the Mini Tricopter and the V4 without any modifications. 90° pinheader + tail tube stopper pinheader are both included in the F3FC Tricotper frame regardless of which (or none) bottom frame is chosen. R8, which have the marking 5V/BEC sets the voltage output on UART2,3 and PWM5+6. If BEC is selected (which is the default) The voltage will be whatever the built in BEC voltage is set to (5V default) If a higher BEC voltage is selected (for instance 8V) the 0 ohm resistor can be moved to the 5V position. This will engage a small LDO voltage regulator that will supply the UART2,3+PWM5,6 with 5V power. 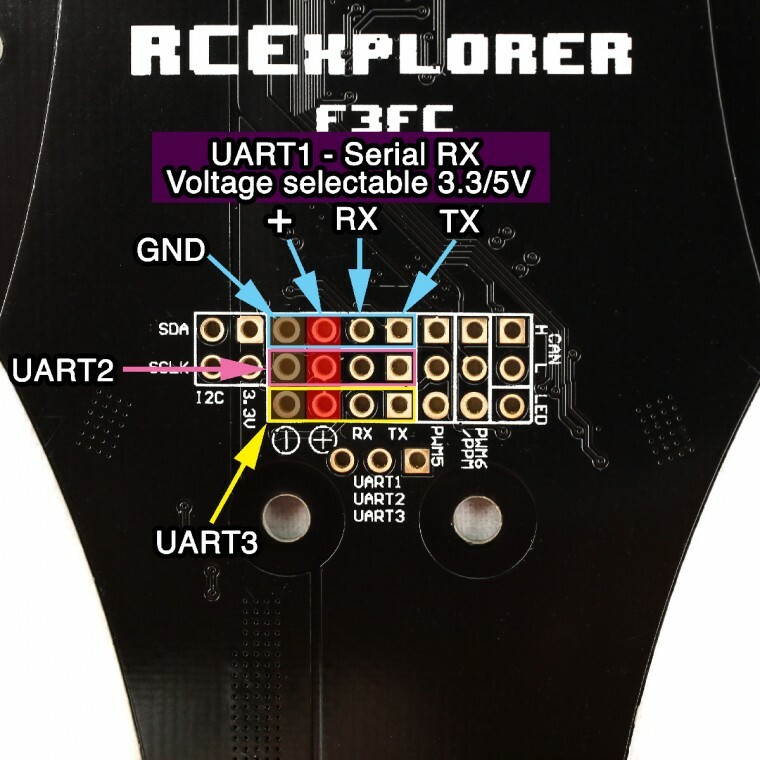 The current rating on this regulator is rather small (around 200mA) so it’s extremely important that you don’t try and power LED’s or OSD through any of the PWM ports while using this option. This option is available so that sensitive UART devices that cannot operate on 6 or 8V can still be powered through the board without an external power source. I noticed the buzzer does not let all kinds of usb plugs in when mounted side way as per one of the possibilities on the video. otherwise great board so far, didnt run into any issue. everything moves freely and it saves a lot of space.